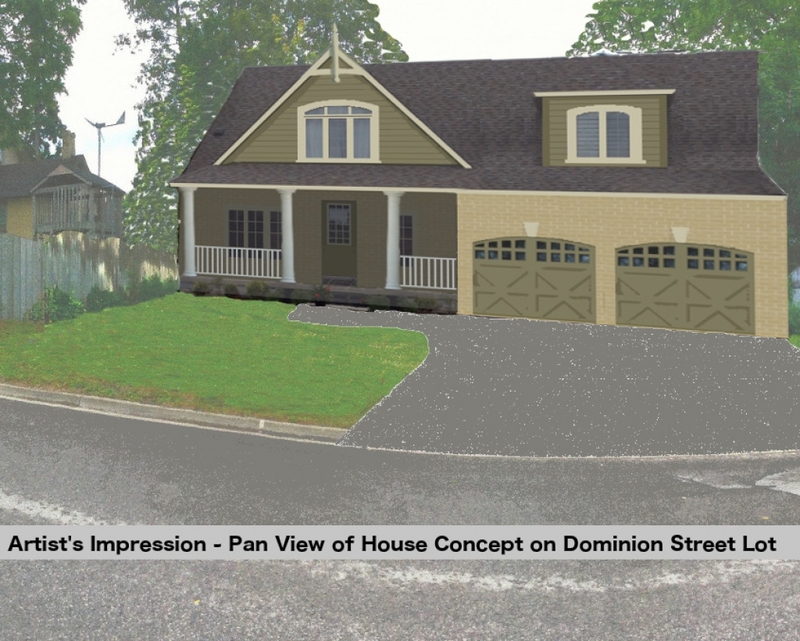 Dominion St, First Ave, and neighbouring streets are considered to being an area of classic old houses with modern additions delicately thrown into the mix in the core of Uxbridge. Leave your car at home and walk to the downtown district. If needed, public transit to other towns and cities is just down the street. This is the perfect location to build your custom designed forever home. Township requires for a maximum of 30% of the land to be used for building cover. 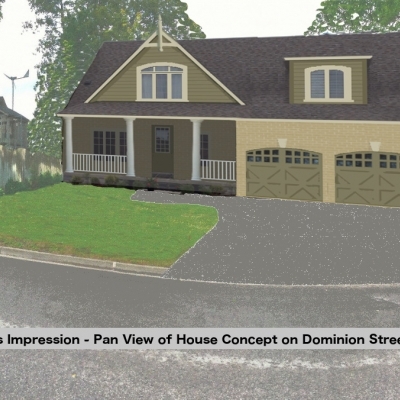 This would make it suitable, amongst other options, for a 2,000 Sq Ft Bungaloft with a double garage. The already existing swimming pool would need to be modified or removed. Water and sewer fees have already been paid to Durham Works. Living so close to the downtown core, in the heart of Uxbridge never felt so good. Take some time to stroll through this idyllic neighbourhood lined with unique, distinctive houses and mature trees. Trendy shops and restaurants are just around the corner. Known as the Trail Capital of Canada, the Uxbridge trail systems are always close by. Even the former Trans Canada Trail, now called The Great Trail, winds through Uxbridge and just down the hill from this Dominion St building lot. It can take you as far west as Vancouver Island and east to Newfoundland. We welcome you to build your forever home here.